I am Mike’s thumb and I’m a pretty big deal. Besides letting Mike tell people that movies are good, letting him get booked at the Police station, and win at thumb wars, I have allowed primates, more specifically humans to evolve into the creatures they are today. The fact that I can move in so many directions (also called opposition, or an opposable thumb) is the reason Mike can do so many things with his hands, like change the channel on the remote. My ability to reach over and say “hi” to my counterpart digits has allowed Mike to perform all those fine motor tasks he requires like using a bottle opener and grasping the edge of the trash can later that night. I cannot take all the credit for these feats of superhuman abilities. I do have some help in the form of muscles, tendons, and ligaments that make up and move my four joints [Carpometacarpal, Metacarpophalangeal, Interphalangeal, and Scaphotrapeziotrapezoidal]. I’m always moving, but unlike the rest of the body, I perform Abduction and Adduction in the same planes that the rest of the body flexes and extends and VICE VERSA!! I’ve allowed Mike to do so much with himself that I guess I can march to the beat of my own drum. For a way better and more in depth explanation, click here. If this were an awards show acceptance speech it’d go something like this. As you can see, I’m pretty important, so don’t piss me off or I might have to call my friend 3rd digit (middle finger) to the ring. 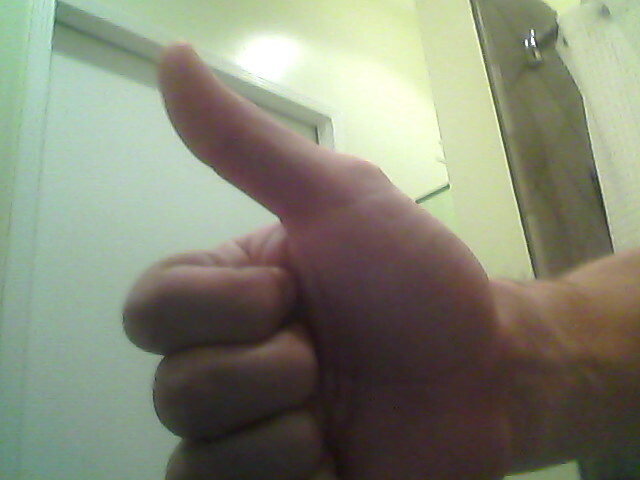 I am Mike’s thumb, and I’m a pretty big deal.